We always strive to ensure we are doing everything we can to deliver high end experiences to you, the users. That being said - we are pleased to finally introduce to you, our very own merchandise store: vergecurrency.store/ All proceeds go to funding future development goals. Verge Merchandise Store · by Core Marketing Team. We're very excited to bring you version 5.0 of our BlackPaper, written by CryptoRekt. 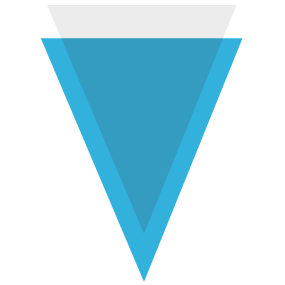 If you're interested in reading it be sure to download the latest version from our website: vergecurrency.com/static/blackpaper/verge-blackpaper-v5.0.pdf If you enjoyed reading this latest version and learned something new about Verge or crypto in general, be sure to swing by his profile twitter.com/CryptoRekt and let him know what you think. Verge is proud to join the Blockfolio Signal beta to keep you updated with the latest developments from our leadership team! Stay tuned as we will be pushing all future major announcements via Signal BETA. Also, don’t forget to follow us on Twitter for constant updates such as new vendor announcements and our bi-weekly Development update articles.